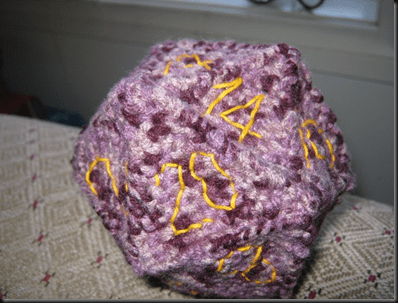 So I asked my Tweeter followers for someone to make me a crochet D20… Then got told off cause my wife ofcourse can crochet !!! Wife has promised to make the rest of the set for me… next D&D session is going to need a bigger table! Sir, I am IMPRESSED by your nerdery.